The explosion-safe Artidor AR-023 timer relay is a delayed shutoff relay with which two devices, for example lighting, is switched on after a press of the button and switched off again automatically after the set time. The timer relay has a fiberglass-reinforced plastic housing with a surface resistivity of < 109 Ohms and therefore will not become electrostatically charged. The circuit to the start button is intrinsically safe by design. Gas explosion safety is ensured using the protection methods against ignition “non-sparking equipment” and “molding”. Dust explosion safety is ensured by the protection method against ignition “protection by enclosure”. 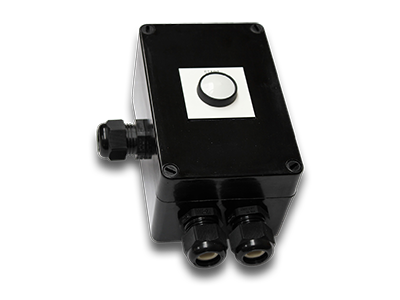 The Artidor timer relay is explosion-safe and certified in accordance with the European ATEX Directive 2014/34/EC (ATEX 114) and is CE marked.